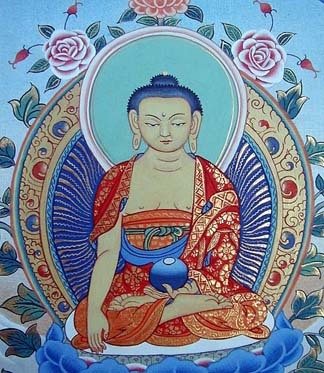 Chenrezi is the Bodhisattva of Compassion. 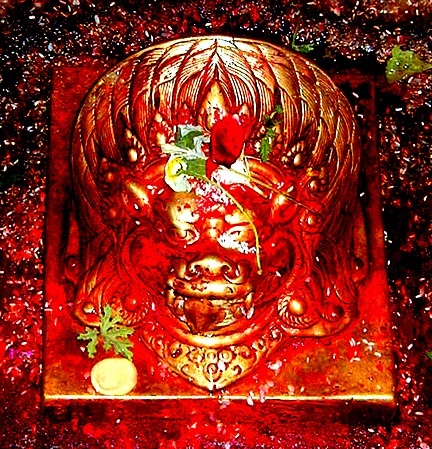 He sits on a lotus, with two hands holding the wish fulfilling gem to his heart. In his other two hands he holds a rosary and the Lotus of Compassion. Chenrezi comes in many forms but can always be identified by the deer skin that passes over his left shoulder and under his right arm. 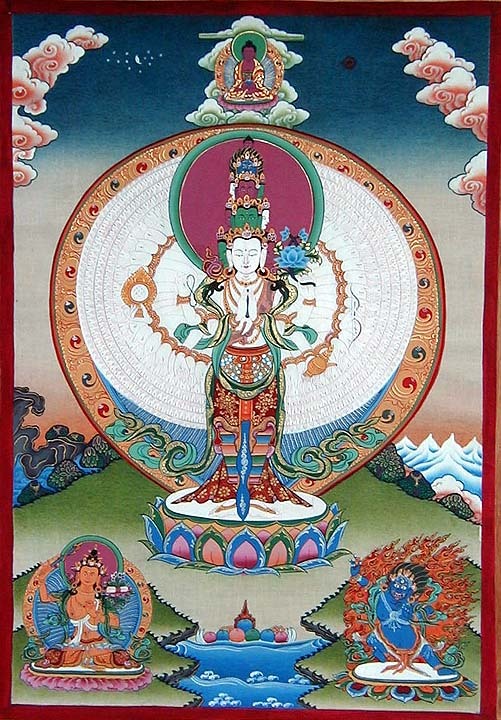 Avalokiteshvara is a standing form of Chenrezi, the Bodhisattva of Compassion. 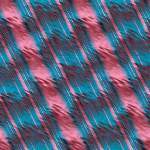 Again, he can be identified by the deerskin worn over his right shoulder and under his left arm. Here he is shown with one thousand arms standing on a lotus. In the palm of each of his one thousand hands is an eye. He has eleven heads. 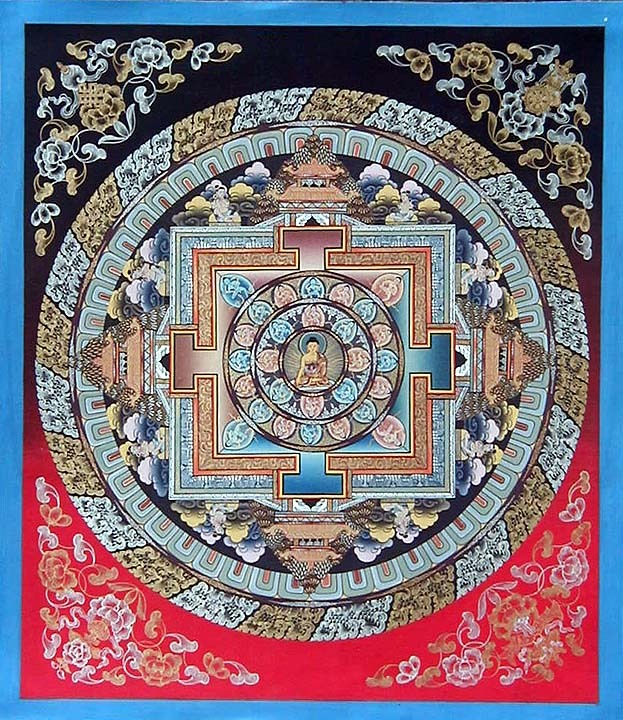 The top two heads represent Vajrapani and Amitabha. 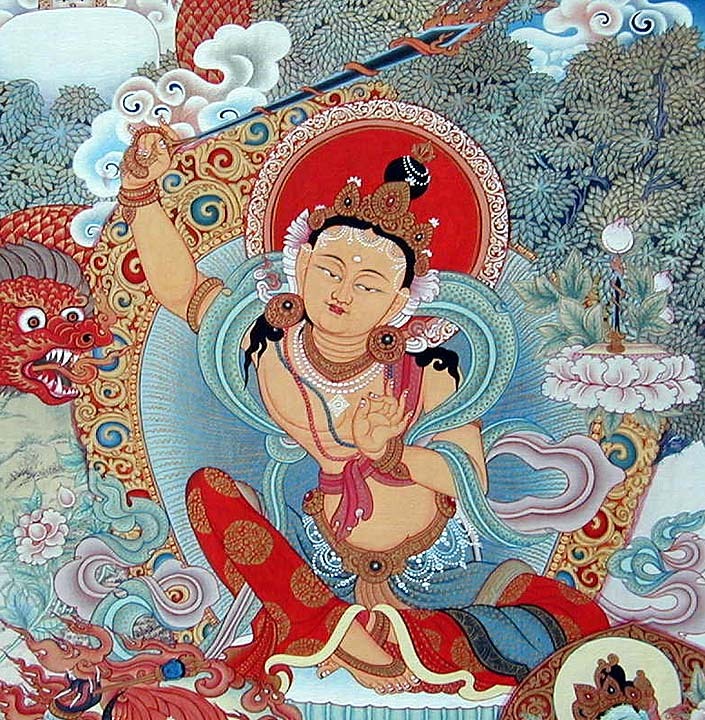 Manjushri is the Bodhisattva of wisdom. He is shown as a golden youth sitting on a lotus, holding above his head the flaming Sword of Wisdom. In his other hand he holds the stem of a lotus that holds the Perfection of Wisdom scripture. 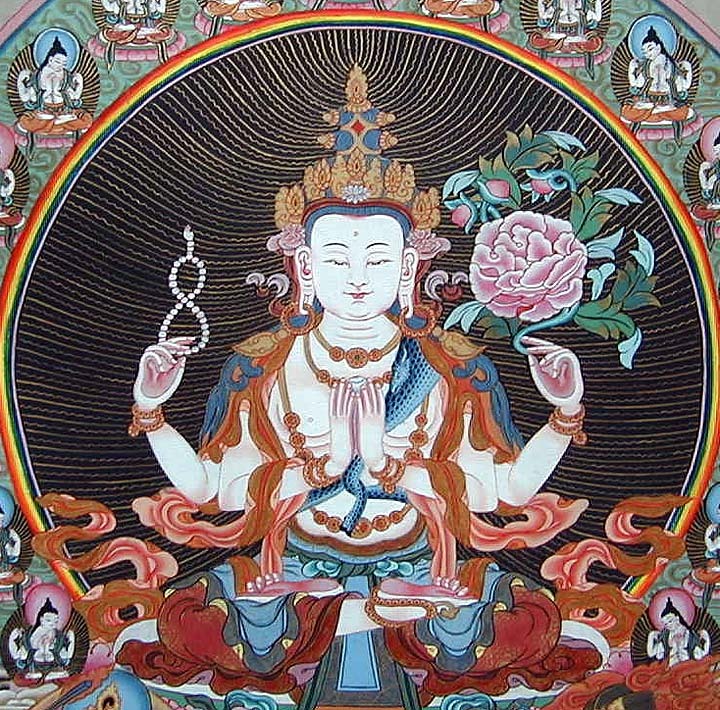 VadjraPani is the Bodhisattva of energy and power. 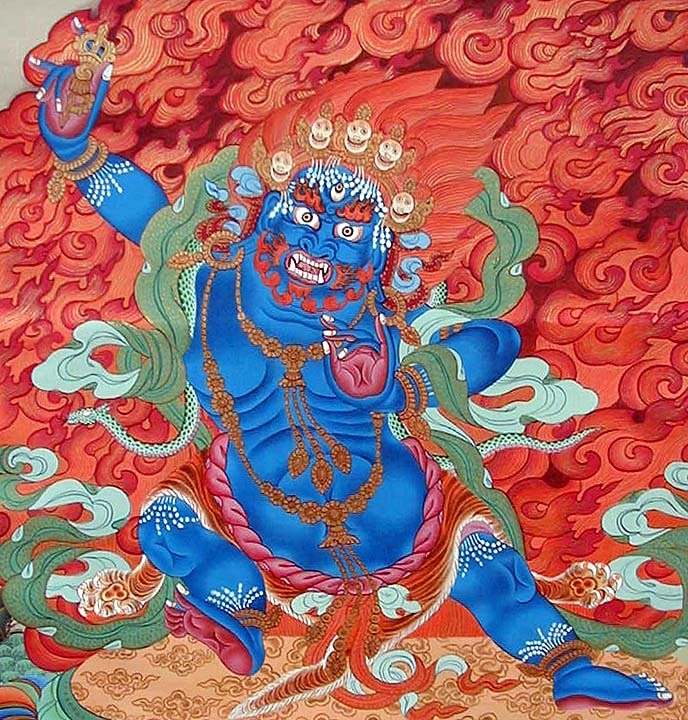 He is shown stepping to the right, with blue skin and flaming hair. He wears a tiger skin and the ornaments of a Dharmapala.